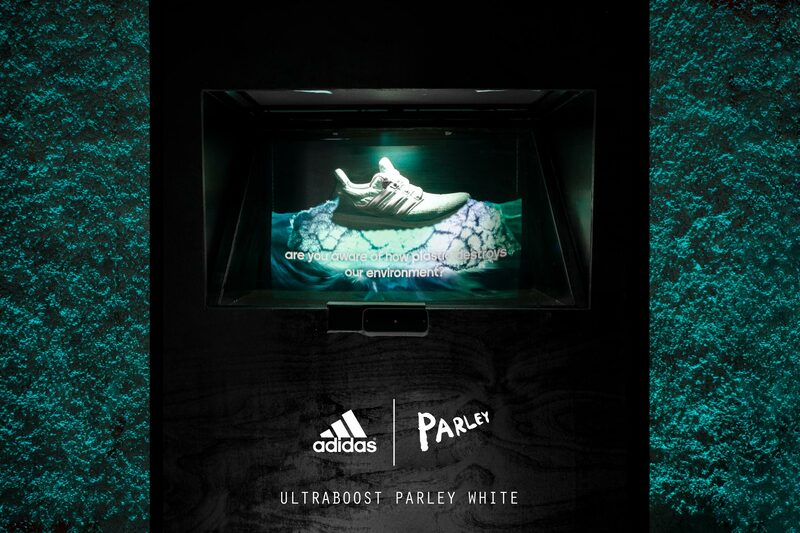 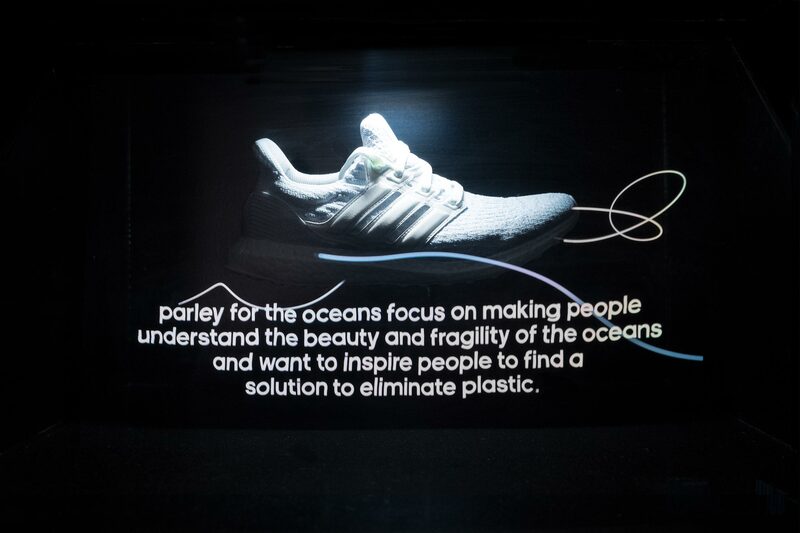 Deep Dive is an independent retail installation for a new shoe line from Adidas in collaboration with the organization Parley for the Ocean. 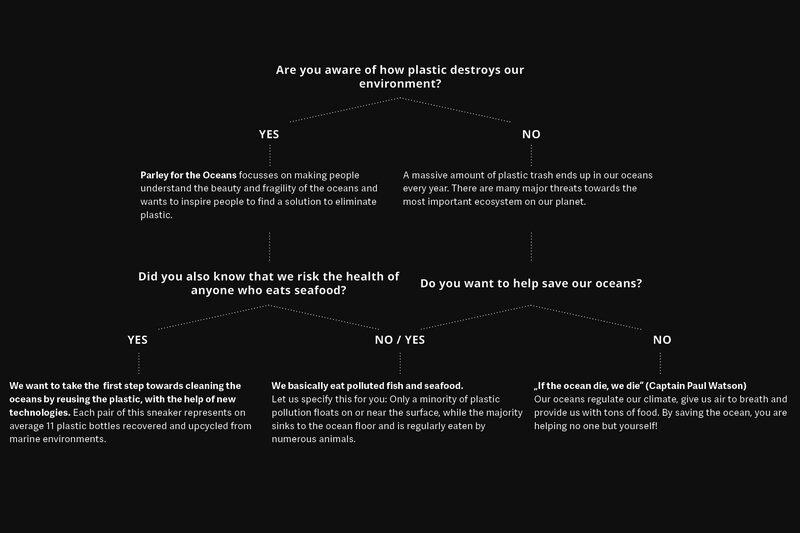 Together, they create products with materials made out of recycled plastic from the ocean. 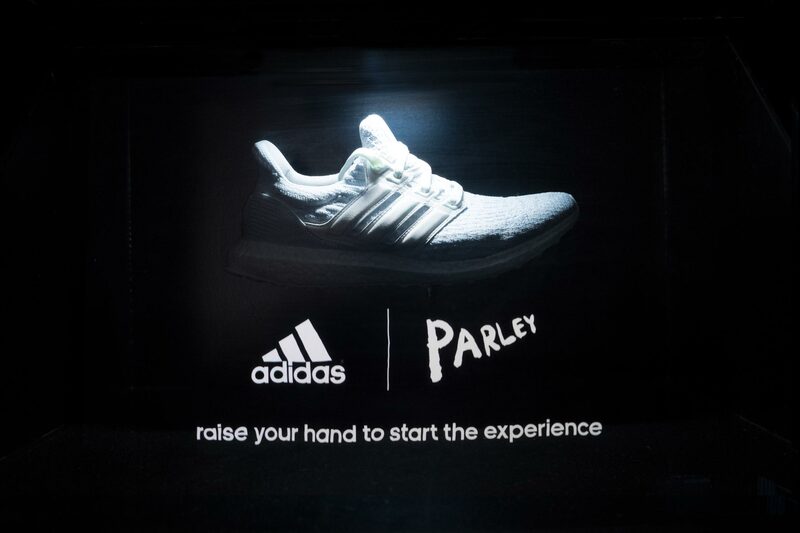 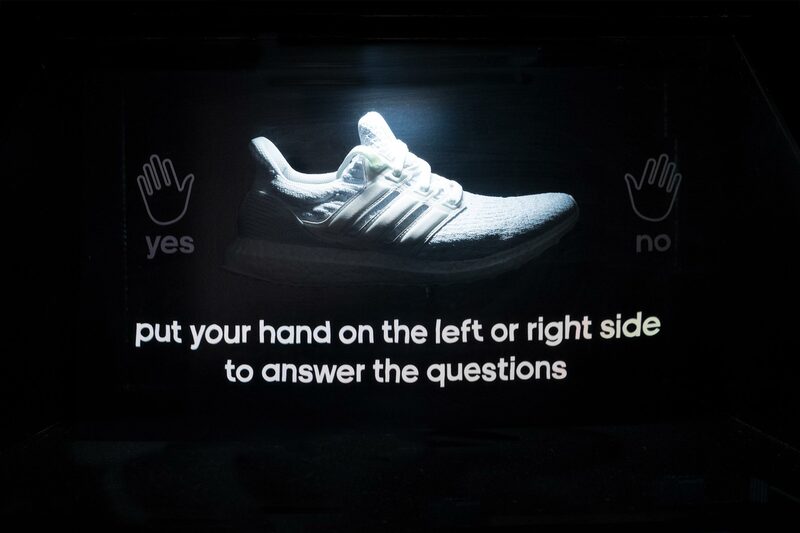 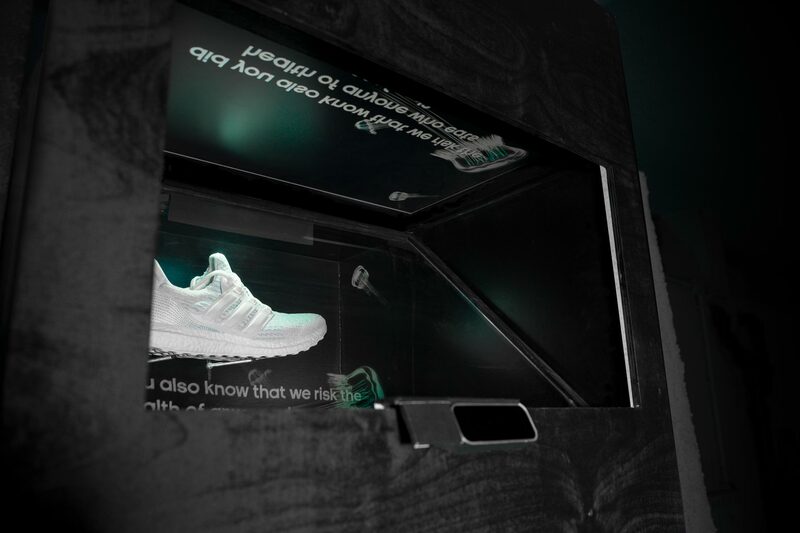 In this project, the shoe is displayed in a holographic box, to merge the shoe’s design with motion graphics and represent the topic visually. 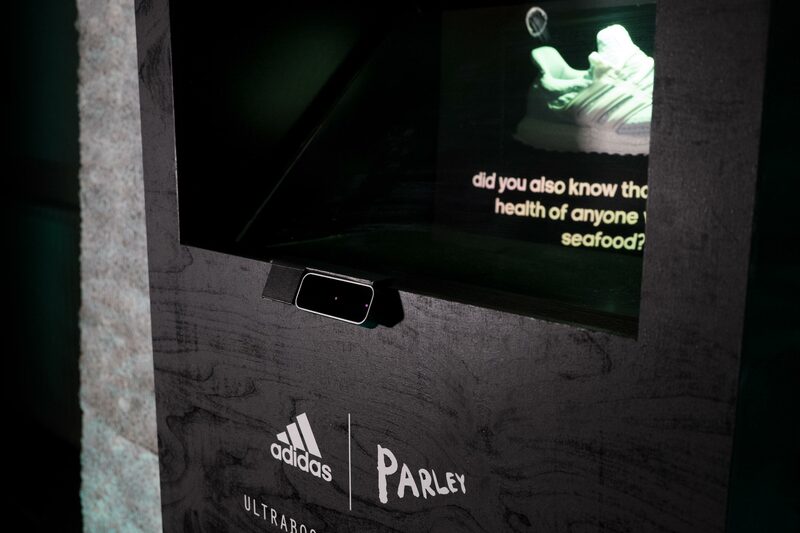 However, a major focus in this project is to not only promote the product, but also to give the consumer valuable information regarding the product context and the story behind it. 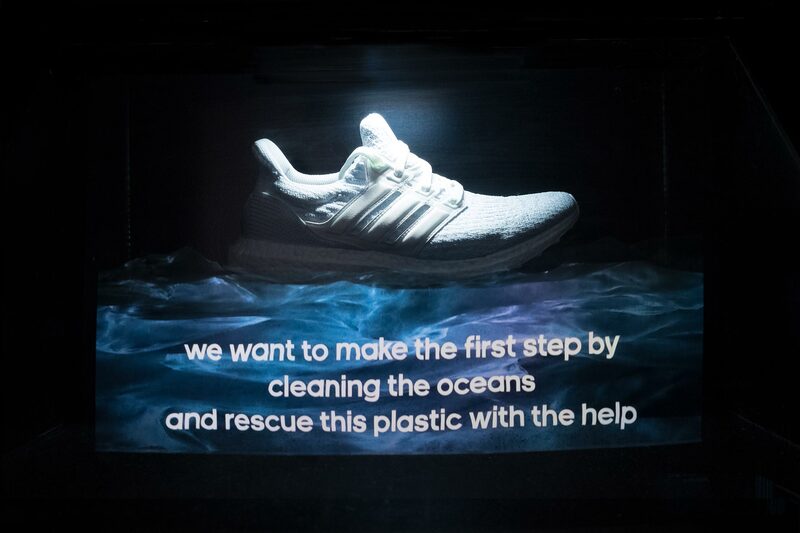 With an interactive experience, our installation connects consumers to the shoe and brings them closer to the topic of plastic waste and how plastic destroys our environment. 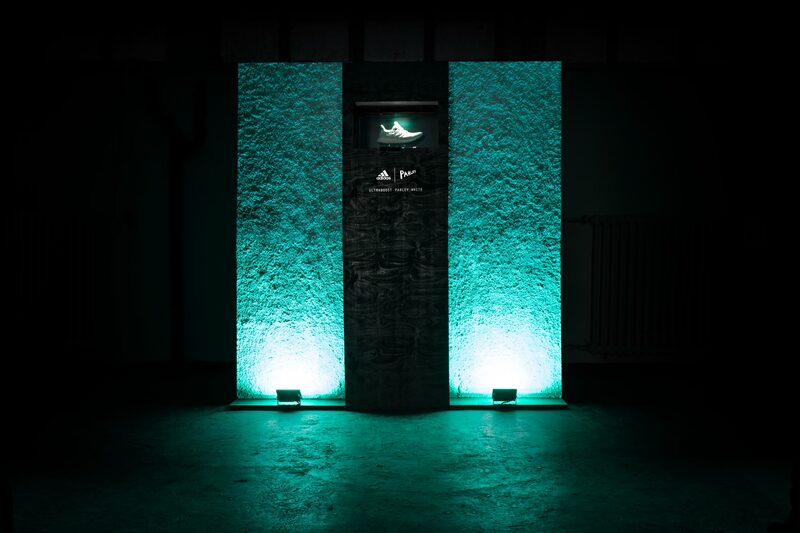 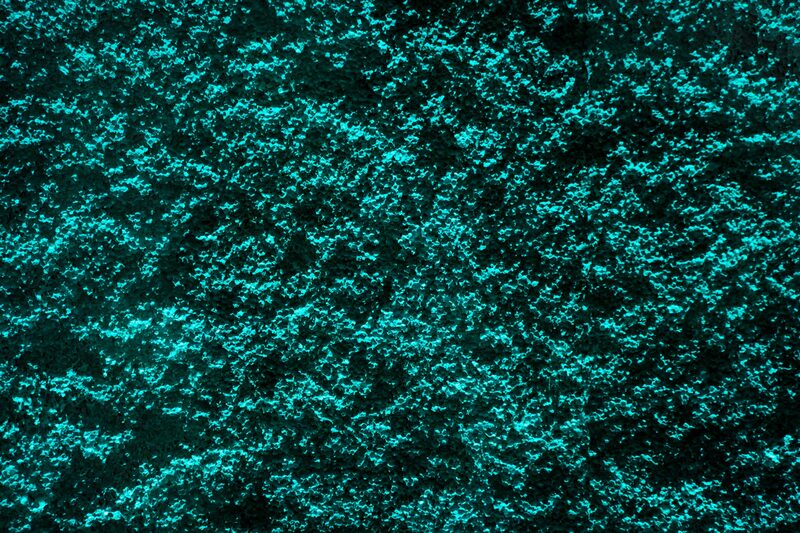 While this special shoe draws attention to the coral bleaching in our oceans, two walls with a coral structure underline this concept visually and complete this installation with a light sculpture.